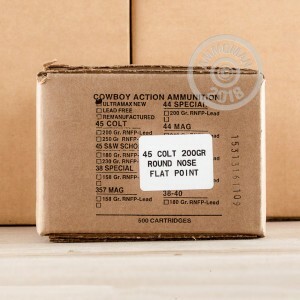 In 1873, the United States Army adopted the newly formed .45 Long Colt and used it for nearly 20 years. Starting out as a black powder cartridge, this round has come a long way, and is now loaded with smokeless and modern powders. 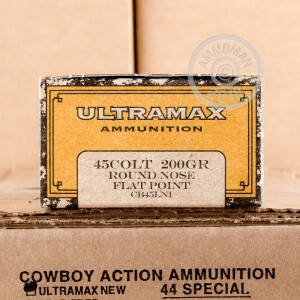 These round nose bullets are great for range training and are loaded to "cowboy action" pressures with smokeless powder that generates an average muzzle velocity of 700 feet per second. 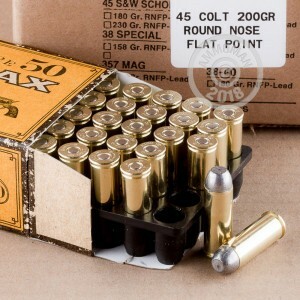 These are perfect rounds for your vintage wheel gun. At AmmoMan.com all orders over $99 receive free shipping! So stock up to save more!